Not a sponsored post - I paid for the meal myself, and True Food Kitchen provided the recipe. Our friend from college, Obi, came to town earlier this summer, and we were looking for a restaurant near LAX to take her out to dinner. True Food Kitchen is often a go-to place for us to bring out-of-town guests. The menu is simple but inventive, with options for anyone on any diet. This was our first time at the El Segundo location - everything from the pizza to the pasta and salad (above) were solid - and vegetarian! Obi lives in Baltimore, and doesn't come to Los Angeles very often. 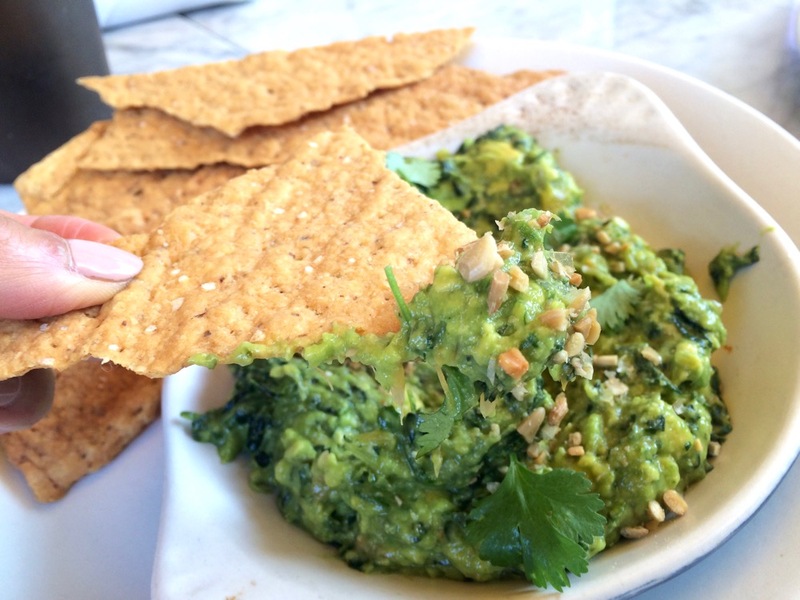 When we saw "Kale Guacamole" on the menu, we had to order one, because it sounded like the most LA Dish ever. 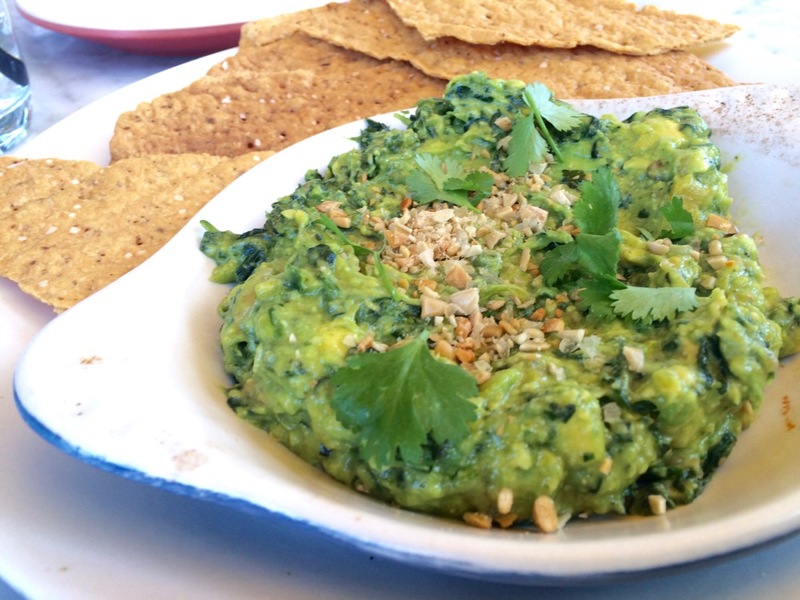 This vegan appetizer is surprisingly excellent - you definitely experience the heartiness of the kale but the creaminess of the avocado still takes center stage. It's not like you eat this and think, "Kale Guacamole." There's also citrus and poblano peppers, but honestly, you can't taste those. 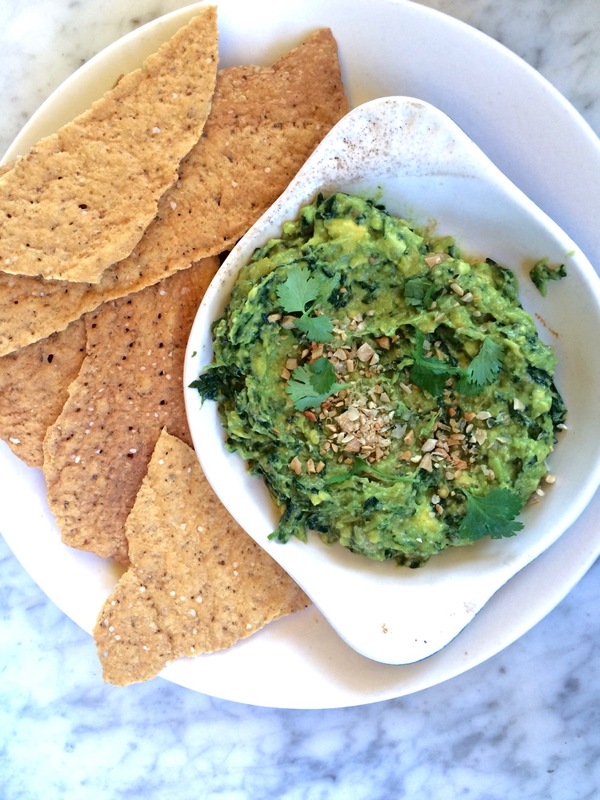 All your mouth experiences is buttery guacamole, with layers of texture and substance. If you ever wanted to eat a big bowl of guacamole for dinner, True Food Kitchen's recipe is a great place to start. Remove stem from kale and blanch leaves in boiling lightly salted water till tender (approx 45 seconds). Shock in ice water till chilled, squeeze dry, finely mince, and set aside. Roast poblano pepper until charred on all sides, peel skin, remove seeds, finely mince, and set aside. In a large bowl, lightly smash avocado. Mix in blanched kale, poblano, cilantro, onions, citrus and salt until well incorporated.